Today I am going to do a Review of Affiliate Trax, training and software in one. What is Affiliate Trax? Well it is a marketing review or interview training course along with software for tracking your customers actions and obtaining their email address. 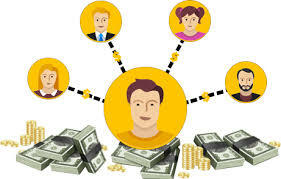 The software is a real help in collecting email addresses to build your email marketing list while also getting paid affiliate commissions and can be used to sell other people’s products too. Because they are purchasers of your product these clients are “buyers” so you now have a hot email marketing list of only buyers not tire kickers. What usually happens when you market a product for a seller as an “affiliate” you cannot have access to the buyer’s email address, that goes directly to the vendor. The only way you can collect the email address is if you send the person to a landing page first and have them opt-in for some gift or free item. This does not make them a “hot buyer”, they may just have signed up to get the freebie and never buy anything from you now or in the future and you are just wasting your time trying to sell to them. Heard enough and want to purchase now, go to Affiliate Trax Review official site now! Affiliate marketing is a hard thing to do if you don’t know what you are doing and so many marketers out there have different ways of doing it and not all will tell you the truth of how they really do it. Affiliate Trax is written by Brett Rutecky and Mike from Maine and both are highly regarded affiliate marketers and they have created the most complete system for making money promoting other people’s products that you’ve every seen. They are Six-Figure Marketers who make a living using the power of videos, Facebook, product launches and affiliate marketing. If you ever wanted to start a business online than this is the course for you…for beginners to experienced marketers. I have been through the training myself and they take you by the hand and give you everything you need to start making money right away … but you do have to use the product it does not do the work for you. Add your customers’ email addresses DIRECTLY to your autoresponder … NOT possible before. Know how much you are making per customer … you now will know exactly what a new customer is worth to you! With a click of your mouse know which vendors to promote and which ones to drop. Know who your best customers are and how to find more just like them. If you want to Re-Sell Affiliate Trax you have the option to purchase the 25 agency re-seller rights or unlimited license to resell forever the software as if it were your own product. As you can see you have the two options when you purhcase the product – Affiliate Trax Training and Software and as an OTO you can purchase Lifetime access to resell the product as your own Agency. This means you can you can sell the Affiliate Trax System as your own product and keep 100% of the profit. 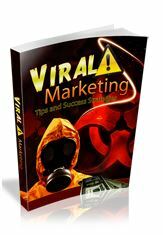 You get access to these exclusive books when you grab Affiliate Trax from my link. Just send me your receipt to [email protected] and you will receive an email back from me with a link to your Free bonuses.